Components provided by OEMs are essential for maintaining optimal system performance. System parts are available for reorder and replacement for all Sigma Thermal process heating systems and those built by other manufacturers (including those no longer in business). Our parts department offers support throughout the lifetime of your system, assisting with parts selection, expedited order and shipment of your parts. Tracking list – discontinued, crossovers, etc. If you have difficulty locating the right part due to lost CAD files, inexperienced personnel, and discontinuation of parts, contact our aftermarket team. 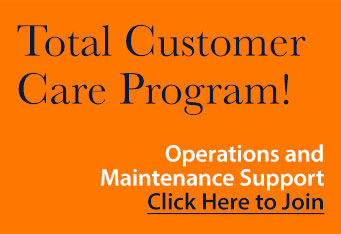 We make reorder and replacement of equipment components easy and cost effective when you become a member of our Total Customer Care Program. This plan offers prescheduled, periodic maintenance analysis and support to help you with inventory management and system operation. Contact us to sign up for TCCP today.